It’s always interesting to see when music and print cross-over, and these two albums represent both the high-water mark of these two magazine titles, when just turning the LP covers into look-a-likes of the print equivalent guaranteed sales from their regular readers, and also the opposite ends of the market. We’ve looked at the Photoplay album tie-in in the site, but I’d never seen an i-D one until recently. 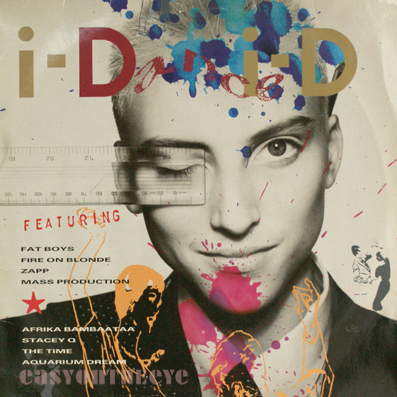 i-D magazine was launched in 1980, with a slightly punky look and ethos, covering fashion and pop, but in a less aspirational way than say The Face. It is noted too for the great cover photographs, which from issue 5 onwards, always had the model winking – or at least covering up one eye. A clever trick and not easy to sustain over 30 years (the best of the covers have now been rounded up in a book). 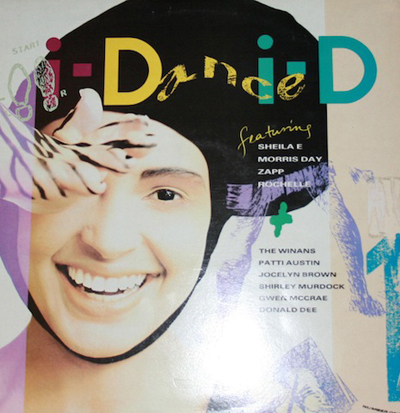 The designers of the Dance i-D album have naturally gone for the same look on the LP. This look was the brainchild of Terry Jones who was art director at British Vogue before founding the new magazine. He still likes to produce covers which stand on their own and are not ruined by screaming article plugs, which to me just smack of desperation. “I don’t like bagging, I don’t like stick-ons, I don’t like covering an image with cover lines,” he told the Financial Times in an interview. There were two i-Dance LPs released, a tie-in project with WEA Records. Nick Knight was a regular for the magazine and took the second album cover shot, though the androgynous model is not credited. Funnily enough the sleeve notes on the back read just like those on the back of the old Top Of The Pops cover version albums – hopefully the writer was being ironic! No design or style credits for the Just Seventeen album. As a magazine they had fewer pretensions and tried to grab a fickle teenage market any way they could. It quickly became the biggest selling UK girl’s teen title. This album tie-in, which photo wise does look very much like one of their magazine covers, relies instead on the smart title typography and a discreet list of the bands running across the bottom. Published by Emap, one of the big boys, it launched as a weekly in 1983. Falling sales in the nineties led to a decision to up the production values and make it a monthly title in 1997. Just Seventeen lasted another ten years like this but with competition from Emap’s other titles hitting sales it was closed in 2007. The album was put together by Fanfare Records in 1989. I notice that the album label attempts to credit title, writer, music owner and publisher for all eight tracks. As each is different this is squeezed into tiny type which you can hardly read. I recall having to do a similar operation on CDs, and getting the type to fit was a real nightmare in pre-Mac days. After a time labels got more relaxed and pointed people to the sleeve credits on the cover or CD booklet, leaving the labels free for a bit of artwork. 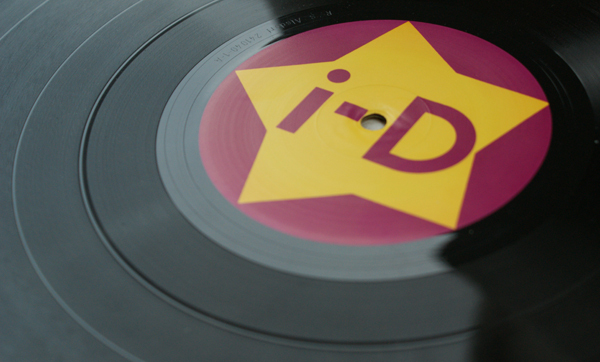 The i-D crew just reduced it to something like 3 point type and got them all onto one side of the label, then splashed their logo across the other side. Much more fun. I have one of the albums from I-D, any idea how much it’s worth? I’m not sure they have a huge monetary value, sort of up to a tenner in the right place.